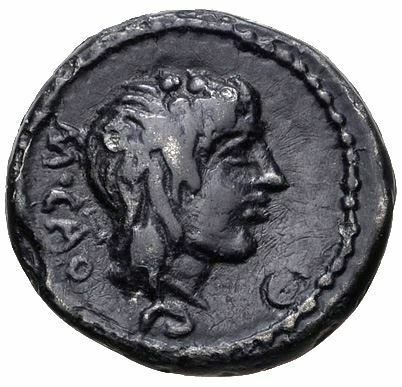 Marcus Porcius Cato Uticensis, commonly known as Cato the Younger (Cato Minor) to distinguish him from his great-grandfather (Cato the Elder), was a statesman in the late Roman Republic, and a follower of the Stoic philosophy. A noted orator, he is remembered for his stubbornness and tenacity (especially in his lengthy conflict with Julius Caesar), as well as his immunity to bribes, his moral integrity, and his famous distaste for the ubiquitous corruption of the period. During the civil war, Cato and Metellus Scipio fled to Africa with 15 cohorts, before Caesars army. When Scipio was defeated, Cato was unwilling to live in a world led by Caesar and refusing even implicitly to grant Caesar the power to pardon him, he committed suicide in April 46 BC.